without it the T.S. becomes a sham & nothing more. “Theosophical History” magazine, pp. 271-273. 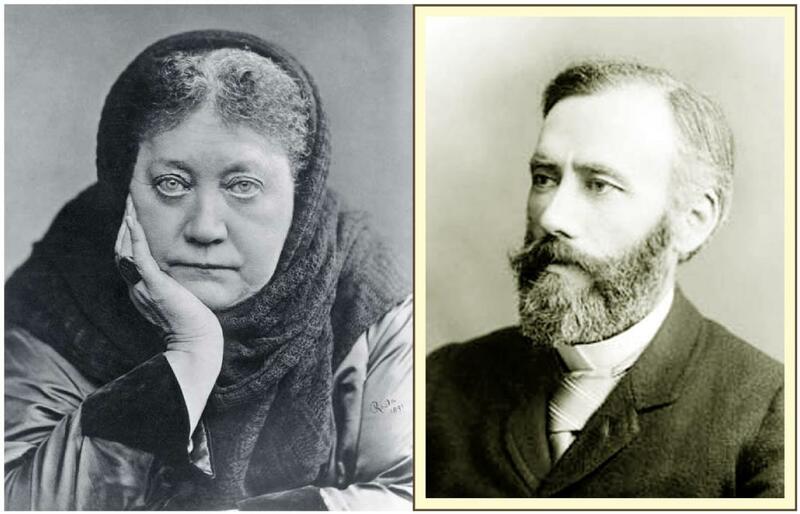 School and the theosophical movement as a whole. ethical foundations, both as individuals and collectively. it naturally emerges from healthy and active Antahkaranas. understand the original. We add a few explanatory notes. Having been spirited away by Mrs. Ida G. Candler, of Boston, and forced to take rest for a month here, I have a little time now to write, & I mean to tell you all I had to say since you left, & that remained unsaid. 1. I do not thank you for the two men you sent here, with regard to whom I have done all you wanted me to & followed your instructions. I am friends with both, have nothing against them, they love me, I love them, but neither is worth a two-penny damn for our work here. Both Fullerton & Lane  are complete failures in England. The former worked & did what he could at [least ? ]; the latter will not touch a thing & speaks of nothing but suicide. Five days after he came he went off to the isle of Wight & remained a fortnight; no sooner had I gone to France than he went off to Scotland. I can do nothing for him. 2. In re E.S. Now you know or ought to know - for the situation is full well defined, that if you drop now the E.S. , down goes the whole of the T.S. in America, save a few flapdoodling independent Branches. Drop it, and you yourself become useless & helpless. The E.S. is the throbbing heart of the T.S. & without it the T.S. becomes a sham & nothing more. Had we 100 Annie Besants & Herbert Burrowses  it might become in time a real Brotherhood of man, the nucleus of the future [weal ?] of Humanity, as in “Looking Backward.”  But we have one Annie & one Herbert & hundreds of sentimental half selfish when not quite selfish ninnies, who will quarrel & dispute & ruin the whole. So true is this, that the whole force of Coues’ infernal cunning is directed against the E.S. alone, hence against me. If you do not understand this, then you are not the acute Irishman I take you to be. Now you know that Coues hates you, but pitches only into me though till now he has not hated me but had great hopes in me - for himself. He knows that once he has destroyed the E.S. he will have stopped the heart & activity of the whole T.S. in America, and - he acts accordingly. Coues is wise in his generation & you are not, I see. Read his interview with the “Washington Star” reporter & see how cunningly he acts. His whole air is to identify the Theosophists with the Butlerites, and make the “Esoteric” and the “Esotericists of the T.S.” identical in the sight of the public, just to ruin us. Now what can you do against him? You have pitched him out, expelled him & he speaks as if he was the President of the T.S. having the impudence of saying that “we (Coues) do not mean to permit her (Blavatsky) to do that & the other.” And he will go on laughing at us because he has money & can bribe the dailies  & we have none & that papers refuse insertion to our replies. Now I say, that the only salvation to this is the E.S., because however ill-managed, the majority will ever be true and that if we could only establish ramifications & have esoteric Lodges, the Presidents of which would be responsible for their members, receive but one instruction for the whole lodge (two or three, if numerous) then it would be all right. Bert  will send you an address of the Esot. “Horus” Lodge of the T.S. which please see if you can publish in Path. It shows that Mahatmas or no Mahatmas what I can teach personally is sufficient to old Kabalists of 20 years standing. All the members of the Horus Lodge (Bradford) are old Masons & Kabalists & what they say in the Address is very suggestive & will wipe out Coues’ nose off. Now I see how true it is what Lane says. What you need in America is a weekly if not a fighting daily. Path is a “Lamb-Job” an ever meek Jeremiah, as is our Revue Theosophique in Paris. You hardly dare say booh in it for fear it should look like polemics. If, profiting by the occasion, you should address every Theosophist & Esotericist and [have ?] Buck  & a few others to help you - and representing [them ?] the truth, namely that Theosophy cannot triumph so long as every paper pitches into it and none will print an answer, collect money enough to publish a weekly, a theosophical packa fighting paper “the Champion,” or the “Wrangler,” or some such thing & set Fullerton as nominal editor & you the real Boss, then we could get on. Now Mrs. Candler  (the wife of the member for Congress who proposes going for Coues’ scalp in October at Washington) who adores me & proves it, promises 300 a year for something like that. She made me come to Paris & spent £30 on one way here only; forcing Bert to take coupé lit reserved carriages & what not - for me my maid & himself who accompanied me; placing me in a suit of rooms at 25 francs a day, for a whole month, & spending money like mud - she will do anything for me. She is a generous, charming, devoted friend & theosophist & will be a valuable ally for you in October. She will start up a subscription for a Weekly for you & is sure to head it with a good sum. Your Path is a most excellent theosophical paper, but useless for militant purposes. Well, that’s all. Choose ye this day etc. Here Bert & I have received writs from Mrs. Cook, who proposes to sue us for defamation & damages for our two libels in Light!! She [begins ?] I had no right to reply & contradict her libel. What next. I am sick, sick, sick of all. If you don’t help, I give up all. “Looking Backward”; the futurist novel by Edward Bellamy.